Staff across the University, particularly those based at the University’s Christchurch campus, are remembering Emeritus Professor David Murray Fergusson, who passed away overnight on Wednesday, aged 74. For nearly 40 years, Emeritus Professor Fergusson was the Director of the Christchurch Health and Development Study (CHDS), a longitudinal study of a cohort of 1265 children born in Christchurch in mid-1977. His longitudinal research enlightened debate and informed government policy decisions on the controversial, but significant, topics of child sexual abuse, youth drug use and abortion, amongst others. 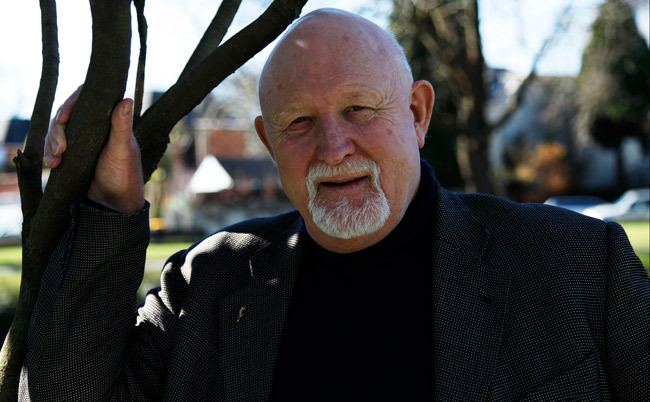 After his retirement from the University of Otago in 2015, Emeritus Professor Fergusson served as a scientific advisor to the Ministry of Social Development, where he continued his work in the development of interventions to reduce childhood behaviour disorder. Tributes for Emeritus Professor Fergusson have flowed over the past few days, with his closest colleagues remembering a demanding colleague and mentor, who was committed to excellence in the practice and communication of social science. "He is considered an international leader among lifecourse researchers, using sophisticated methods to extract maximum impact from social survey data. His recommendations for social and policy change were research-led and relied upon his encyclopaedic knowledge of the many of factors that influence human development." Vice-Chancellor Professor Harlene Hayne says Emeritus Professor Fergusson was the driving force behind the success of the Christchurch Health and Development study. “He is considered an international leader among lifecourse researchers, using sophisticated methods to extract maximum impact from social survey data. His recommendations for social and policy change were research-led and relied upon his encyclopaedic knowledge of the many of factors that influence human development. “His work ethic was second-to-none. I had the privilege of writing several chapters with David. We would draft an outline together in Christchurch or Wellington, and by the time I returned to Dunedin, David would have already sent me a rough draft of a chapter. This work ethic was driven by the desire to generate knowledge that would make life better for the most disadvantaged among us. Professor John Horwood, the current director of the Christchurch Health and Development Study who worked with Emeritus Professor Fergusson from the beginning of the study for almost 40 years, says he was a world-leading social scientist who made a huge contribution to our understanding of the development, course and consequences of mental health problems and psychosocial functioning over the life course. “He had an unrelenting commitment to research as providing a critical evidence base for the development of health and social policy. Associate Professor Joe Boden, the Deputy Director of the Christchurch Health and Development Study, who worked with David for 10 years recalls Emeritus Professor Fergusson’s passionate belief in the power of data to tell us about the world. “But he also believed just as fervently in our responsibility to use those data to develop and test evidence-based policies to improve health and wellbeing for the most vulnerable in our society,” he says. "Under his leadership, the Christchurch Health and Development Study the study received world-wide recognition as one of the best and most productive longitudinal studies ever conducted. It was an absolute privilege to share in that journey with him." Professor Richie Poulton, the Director of the Dunedin Multidisciplinary Health and Development Study, says Emeritus Professor Fergusson was and will likely remain New Zealand’s greatest-ever lifecourse researcher. Emeritus Professor Fergusson was born in London in 1944, and at the age of 15 left school to join the British Merchant Navy. He later decided that a life at sea was not for him, but he remained an avid fisherman throughout his life. Emeritus Professor Fergusson emigrated to New Zealand at age 21 and began working at an electronics firm in Wellington. To earn extra money, he cleaned offices at Victoria University’s Geography Department in the evenings. It was there he discovered an interest in academic life, and enrolled at Victoria, completing a degree in Psychology with honours in 1969. Following this, he worked as a government policy advisor for several years, writing books and analysing data for a longitudinal study of youth offending. During the mid-1970s Emeritus Professor Fergusson met Christchurch paediatrician Professor Fred Shannon, who was the Foundation Professor of Paediatrics at Christchurch Hospital. Professor Shannon was interested in studying the outcomes for children of single parents, having noted a greater incidence of poor health and developmental problems amongst his patients with a sole parent. After wider consultation and with the support of the Medical Research Council the concept was developed for a longitudinal study of a birth cohort to examine the full array of influences on child outcomes. In 1976 Emeritus Professor Fergusson relocated to Christchurch and began work on the Christchurch Child Development Study (later the Christchurch Health and Development Study). Recruitment for the study took place between April and August of 1977, with 97 per cent of children born in Christchurch during that period being entered into the study by their mothers. In the early days of the study, one of the main areas of interest was lower respiratory illness amongst the cohort. Emeritus Professor Fergusson examined the extent to which respiratory infections may have been related to exposure to parental smoking in the home, showing that there was a significant increase in risk of bronchitis and pneumonia for children of smokers. This study was one of the first to quantify the risk of lower respiratory infection related to parental smoking, and in later years these findings were replicated in cohorts around the world. "His death represents a huge loss not only to the CHDS, but to the scientific community in New Zealand. We will do our best to carry on in the manner which he intended." Another area of interest in the early years of the study was an examination of swimming pool safety fences. At the time, there were no laws or regulations concerning the fencing of domestic swimming pools, and rates of accidental drownings or near drownings in children were high. The CHDS examined this issue and found that, although no cohort members had accidentally drowned, a significant number of children had experienced accidents that may have led to drowning if parents had not been alert, and that fencing would have reduced the number of accidents considerably. This research proved instrumental in the development of local by-laws requiring fencing for domestic swimming pools throughout New Zealand, leading to a reduction in the rate of accidental drownings. A further important area was the study of lead exposure in the cohort. When cohort members began to shed their baby teeth, these were collected by Emeritus Professor Fergusson and colleagues in the guise of “The CHDS Tooth Fairy”, and examined to determine overall lead exposure. In turn, levels of lead exposure were shown to be linked to increased rates of childhood behaviour disorder, and lower levels of school achievement and IQ. This work led to the award of a University of Otago PhD degree to Emeritus Professor Fergusson in 1988, and influenced government policy, contributing to the evidence leading to the removal of lead from petrol in New Zealand. One of the primary areas of impact from the early years of the study was the study of childhood disruptive behaviour, in particular childhood conduct problems, and the extent to which these impaired school performance and overall adjustment. Later findings would demonstrate that conduct disorders if left untreated had wide ranging implications for adult functional outcomes including offending, personal relationships, employment and other life course outcomes. This series of studies convinced David of the importance of developing and evaluating interventions to reduce childhood behavioural problems. This led him to champion policy development at government level to enhance treatment and prevention services for childhood behaviour problems. In the 1990s, as the cohort entered adolescence and early adulthood, the focus of the study changed to examine issues concerning mental health, substance use and psychosocial adjustment. As part of this, when cohort members were aged 14, Emeritus Professor Fergusson decided to ask detailed questions concerning cannabis use amongst the cohort. What resulted from this was a quarter-century’s worth of data on cannabis use and the problems associated with cannabis use, which constitute some of the best and most complete data on cannabis use in a single cohort in the world. This data led to a series of landmark publications outlining the harms associated with cannabis use, including an increased risk of using other illicit drugs, increased risk of psychotic symptomatology, and an amotivational syndrome in which heavy cannabis users were less likely to achieve formal educational qualifications, and were more likely to experience unemployment and reliance on welfare benefits. "David was a legend, a larger than life character, with a big, caring heart, despite the curmudgeonly exterior. We are all the lesser for his passing." Alongside this research, when the cohort reached 18 years of age, they began to be asked about their experiences of abuse in childhood, in particular any exposure they may have had to sexual or physical abuse. As a result of this, Emeritus Professor Fergusson and his colleagues published several papers and a book detailing the pervasive adverse mental health and psychosocial outcomes associated with exposure to sexual abuse in childhood. This ground breaking work showed that, amongst the range of exposure to adverse experiences in childhood, sexual abuse stood out as the most powerful and detrimental, with its effects being shown to last up to 20 years or more. In later years, as cohort members grew into adulthood and began their own families, Emeritus Professor Fergusson became interested in questions concerning economic adjustment and family life, as well as looking back at “big picture” issues such as overall exposure to adversity in childhood. One of the key observations David made from this work was that adversity is best understood as being cumulative; young people who experience adverse circumstances are often exposed to a range of adversities, and it is the total burden of adversity, more so than specific kinds of adversity, that are predictive of poorer outcomes in adulthood. Perhaps Emeritus Professor Fergusson’s proudest achievement was the development of Early Start, an early intervention service for high needs families with young children. The idea for the service grew out of observations from the CHDS cohort in the mid-1990s that the teenagers with the most problems had experienced the greatest childhood adversity. The corollary was that in order to limit the developmental impacts of adverse childhood experience required early intervention with those families most at risk. Working with a consortium of providers including Plunket, Pegasus Health, and Māori representatives Emeritus Professor Fergusson and his colleagues developed Early Start as a programme of early childhood home visitation for at-risk families. Early Start has now been in existence for over 20 years, and has been shown via randomised controlled trial data to be one of the most efficacious home visitation programmes in the world for reducing the risk of child abuse and accidental injury amongst high-needs families. The findings of the randomised trial have been used to benchmark the performance of wider Government Family Start early intervention services. Early Start is now the primary provider of early intervention services in Canterbury. As one of the most prominent social scientists in New Zealand, Emeritus Professor Fergusson received a number of accolades over the course of his career. He was an elected Fellow of the Royal Society of New Zealand, and in 2010 was awarded the highest research honour at the University of Otago, the Distinguished Research Medal. He was also named an honorary Fellow of the Royal Australasian College of Physicians and the New Zealand Psychological Society in light of his career long contributions to both fields.